Five days after an Arlington gas station owner was shot after handing cash to an armed robber, police arrested a 38-year-old man with a long criminal history who was released from prison less than a year ago. Wednesday afternoon, police announced the arrest of Sherwin Tiysheald Birt on charges of armed robbery and aggravated assault in the July 25 holdup and shooting at the BP station at the corner of Arlington Expressway and Arlington Road. Police said Vipin Sharma, 57, was shot after handing over cash to the gunman. Sharma was last reported in critical but stable condition at Memorial Hospital. "My dad lost more than seven pints of blood and still has a bullet lodged in his pelvis," Sharma's daughter wrote on a GoFundMe page. "It's not fair for hardworking people to lose their business and only source of income because of a thug who decided a couple hundred dollars was worth more than a human life." With Sharma's family with him at the hospital, the BP station remains closed. "I hope he gets better," said Rudy Grissom, a regular customer at the station. "I am looking forward to seeing him." After News4Jax and other media had confirmed Birt's arrest, the Jacksonville Sheriff's Office posted his photo and name on social media and tweeted video of detectives walking Birt through police headquarters. Robbery suspect who shot store clerk in Arlington after he gave him everything he wanted has been arrested! Hiding, shaved his beard, but we still found you. He was wearing the same shirt he committed one of the robberies with. Police said Birt was arrested Monday morning on Bert Road -- less than three blocks from the BP station -- when officers conducting surveillance saw him come out of an apartment, retrieve a backpack form the trunk of a car that matched the car police believe was connected to the robbery. According to the arrest report, Birt did not resist being taken into custody. The gun believed used in BP shooting was recovered from his girlfriend’s home. In addition to last week's robbery and shooting, police said Birt is charged with an aggravated assault and robbery on July 12 at Stars Rest Inn in Northwest Jacksonville, a robbery July 23 at the Avondale Superette and a burglary from last December. Police said more charges could be coming. Court records show Birt is held on $250,000 bond. Birt was released from state prison last September after serving five years for stalking. 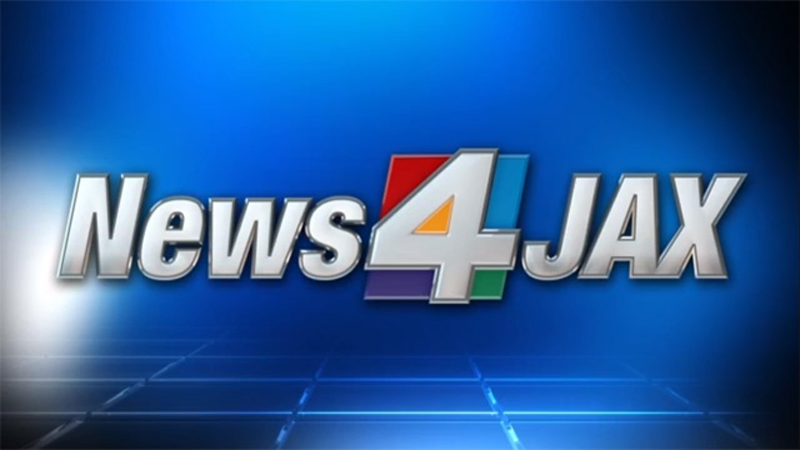 News4Jax has found felony arrests for Birt dating back to 1997, including charges of aggravated assault, car theft, possession of a firearm by a convicted felon and witness tampering. Over the last two decades, Birt has spent more than 11 years in state prison and one year in the jail. The Florida Times-Union reported that Birt entered foster care at 9 when his parents divorced. The newspaper reported that he had lived in 13 foster homes before he turned 18. Two days before the shooting at the BP, surveillance photos show a man holding up the manager of the Avondale Superette. Tesfa Jemane, the manager of the convenience store, said the man, later identified by police as Birt, walked into the store smiling before purchasing a cigar. When Jemane handed over his change, the man pulled out a gun. "He said, 'I need all the money,'” Jemane said. "It was so scary. It's going to scare me for the rest of my life. Police said the robber walked into the BP convenience store at the corner of Arlington Expressway and Arlington Road at 10:38 a.m., pulled a silver and black handgun from his waistband and demanded money. After Sharma handed over the money, police said he was shot once in the chest. A customer in the store at the time ran out of the store before the shooting. Later that day, police released surveillance photos of the gunman. Sunday night, police released a picture of a car they were searching for in connection with the robbery. Over the last two decades, Sherwin Birt has spent more than 11 years in state prison and one year in the jail. Here's a look at his booking photos from the past 15 years. Sherwin Tiysheald Birt was arrested in May 2003 by the Jacksonville Sheriff's Office on weapons charges. 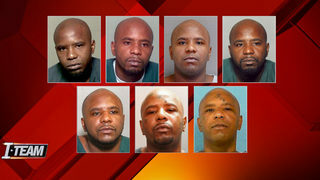 He was convicted and sent to the Florida Department of Corrections in 2004. Birt was arrested by Jacksonville Sheriff's Office in October 2004 on three counts of presenting worthless checks. Sherwin Bird was arrested by JSO again in November 2006 on eight charges, including vehicle theft, possession of cocaine, burglary and resisting arrest. Birt was arrested in May 2008 on charges of armed possession of drugs, possession by a convicted felon, armed burglary and driving without a license. Birt's October 2009 arrest on charges of aggravated stalking, violation of a domestic violence injunction, several counts of dealing in stolen property and other charges. In 2010, Serwin Birk was sent to prison for five years after a conviction for stalking. He ended up spending seven years, released in September 2017. On July 30, Sherwin Birt was arrested on four counts of armed robbery, one of aggravated battery, one of aggravated assault, and one each of theft and burglary.